As part of Viveport’s commitment to connect content creators to global audiences, we’re excited to announce that Viveport now supports Oculus Rift compatible titles. You can now opt-in your Viveport titles to display as Oculus Rift compatible from today, with the full consumer launch on September 4th. Adding Oculus Rift compatibility to Viveport doubles the potential audience for published titles, and also allows Oculus Rift consumers to access Viveport Subscription. Viveport Subscription allows subscribers to experience up to five titles at a time, starting with a free 14-day trial, and continuing after that with one low monthly price. 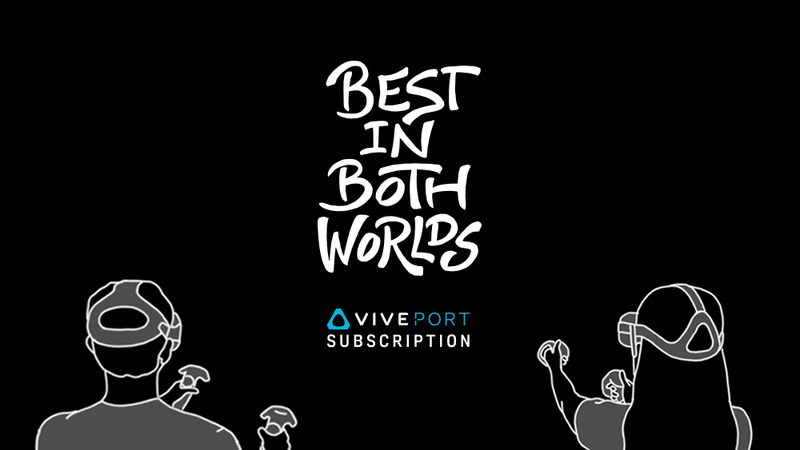 With almost 500 titles in the Viveport Subscription library, we’re proud to curate a diverse and engaging range of experiences that appeal to a wide audience. We’re always happy to welcome new developers to Viveport, with marketing support and promotion for selected titles. Recent additions and all-time bestsellers in Viveport Subscription include Seeking Dawn, Tilt Brush, Pixel Ripped 1989, Shooty Fruity, A-Tech Cybernetic VR, theBlu and Knockout League. You can start opting in your Oculus Rift compatible titles on Viveport today. In many cases, existing builds that have hardware support for Oculus Rift via OpenVR are ready for this update. In the Developer Console, Oculus Rift is now available under ‘Compatible headsets’ in the ‘Viveport Listing’ tab. To opt-in a title, simply check the Oculus Rift box and create a production release under the Submit tab. Are you a developer who has questions about Oculus Rift compatibility? Contact our Developer Relations team here.